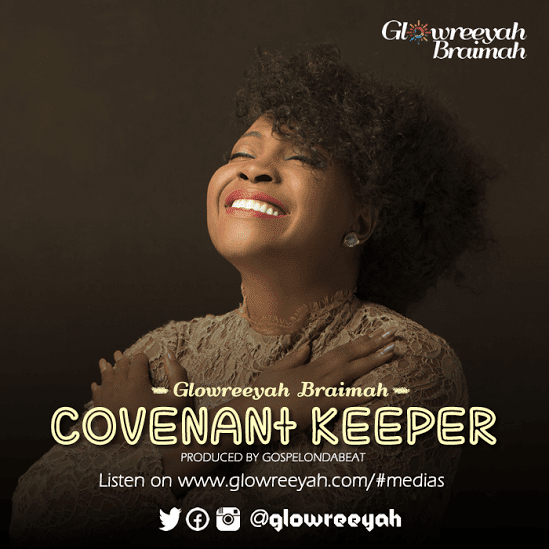 Known for her vast musical prowess, Glowreeyah Braimah explores the many facets of sound creating unique experiences with every song and her newest single, “Covenant Keeper,” produced by Ace producer GospelOnDaBeatz, is no different. Released Tuesday, October 6th, 2015. Covenant Keeper is a worship call with live instrumentation which along with her unique delivery is bound to inspire you in worship of our God, bringing to light a new side and sound of the artiste, Glowreeyah.